New Crawler Accessories From FireBrand RC « Big Squid RC – RC Car and Truck News, Reviews, Videos, and More! 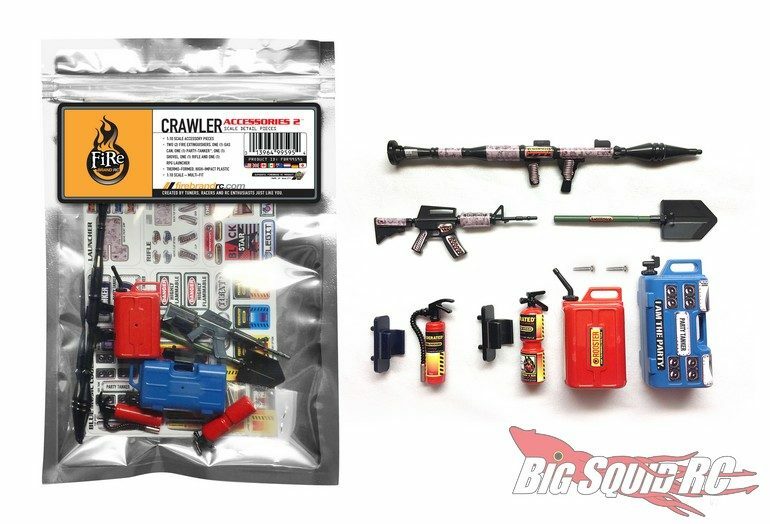 Just announced by FireBrand RC is their Crawler Accessories 2 set. 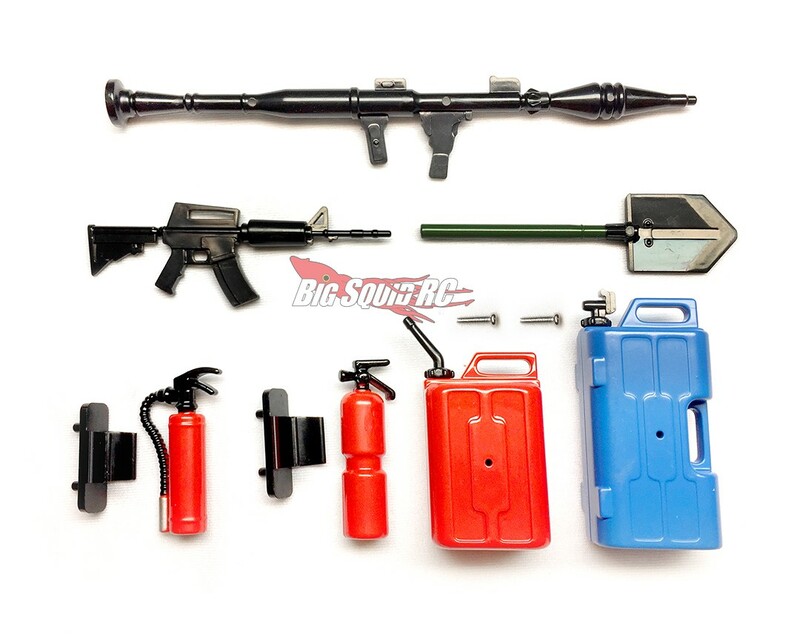 This scale crawler accessories set comes with- two fire extinguishers, one gas can, a Party-tanker, a rifle, a shovel, one RPG launcher, as well as fasteners. The FireBrand set makes it easy to add cool pieces of scale realism to your rig. Street pricing is just $28, you can get full details Right Here, or you can hit This Link for more FireBrand news on Big Squid.